With stories ranging from candidly intimate to wonderfully adventurous, each chapter or parable uncovers a piece of the puzzle. And as it comes together, the picture that emerges reflects Roberts' life-affirming belief in God, the essential ingredient in her secret formula for happiness. A charming and uplifting read, Marsha's style of writing makes you feel as if you're with a trusted friend, sharing life lessons over a cup of coffee. by Marsha Roberts is an astounding work of literary genius. I freely admit to being a baby boomer and have had my mega ups and downs, but what separates me from Marsha is her life-affirming belief in God and that God is there for her every step of the way, even when someone has removed the last few steps and is waiting for her to fall. 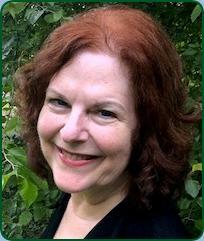 Marsha uses her unique voice and sense of humor, which I may add is wonderfully spread throughout the book, to send us on a fantastic journey, her private journey that we call life, full of heartfelt sorrow, uplifting joy and miracles that helped her overcome the dark moments in her tumultuous life. Each chapter or parable is so entertaining and full of faith, brimming with Marsha's soul to the point I had tears streaming down my face on more than one occasion, only to find myself laughing a few pages further. What might have been a mundane story of every day life has been transformed into a documentary worthy of an Oscar. I highly recommend this FIVE STAR family drama to everyone who might find there is more to life than just living it. A must read. I enjoyed reading the stories and found them to be honest, personal, yet universal. It's a book you could read in a single sitting but you won't. Take your time, sit back and reflect on her stories and take them to heart. Ms. Roberts journey of understanding through narrative in relation to her faith is truly inspiring. Ah! If only? If only I had had the opportunity of reading a book such as this in my late teenage years, albeit some sixty years ago! It would have helped save me some of the angst of my future experiences. Marsha was fortunate to have those combination of "genes" that provide one with a sense of humor, reasonable common sense, empathetic tolerance, willingness to learn from her acknowledged mistakes, unselfish desire to help other where possible and to be able to tabulate all of her life's, fun and foibles into a most entertaining, inspiring, amusing read. I most certainly highly recommend it, especially to "the younger fry" starting out into their adulthood. Loved reading her story and loved how they depended on God throughout their lives. These are my favorite kinds of books. I enjoyed this so much I read it twice and enjoyed it as much the second time. Marsha has done a wonderful job of sharing the joy she has found in following God's direction and the power of prayer. Great inspiration for when your faith waivers! It's so refreshing and joyous to read such an uplifting book, especially in these dark times we live in. This book really shows the miracles of faith in the face of adversity. This book was so inspiring to me, it reminded me to always stand tall and believe. Her story is truly amazing and very well written. Let me quote the author directly: "I know that faith and love and joy are the keys to unlock the miracles God has already put in place for us. So, I'm determined to be full of all three of them. It's my job." Faith, Love and Joy, what a powerful combination in any persons life! As you can tell, I leave the reading of this book inspired, encouraged, and determined, as Marsha put it so eloquently, "to be full of all three." I sincerely believe this book has a positive message that can not be denied in the world we live in today. In conclusion, if you are seeking encouragement and inspiration, this book will not disappoint you. Highly recommended. The inspiration is hands-on, greasy nuts and bolts, Faith-In-Action 101. The take-home is waking up to my dream, a bigger dream than I could have dreamed. It's scary and wonderful. Roberts constantly shows how providence always has something up it's sleeve, something mind-blowingly better for us than what we imagine and mutinously cling to. Another take-home was the notion that darkness exists by default; it's up to you and me to kindle light via our words and deeds. Guaranteed you will find in this boisterously written, humor-laced Guide to Living Better just what you're seeking and need to hear most. This is a heartfelt sharing of what a life well lived, walking hand and hand with God, looks like. 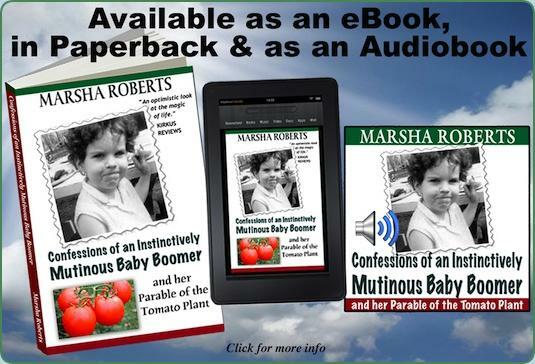 I'm so glad that I took the bait of the word "Parable" and read the story of Marsha Roberts walk through her live. I loved it! Thanks for reminding me that I need to trust the One who is in control. Really enjoyed reading these stories and how Marsha applied the principles to her relationship with the Almighty. This book has given me new food for thought and caused me to re-evaluate and re-order things in my life by changing the way I think about them. A truly enjoyable and productive read! "An optimistic look at the magic of life." Roberts takes the reader on a captivating journey where real life collides with real miracles.